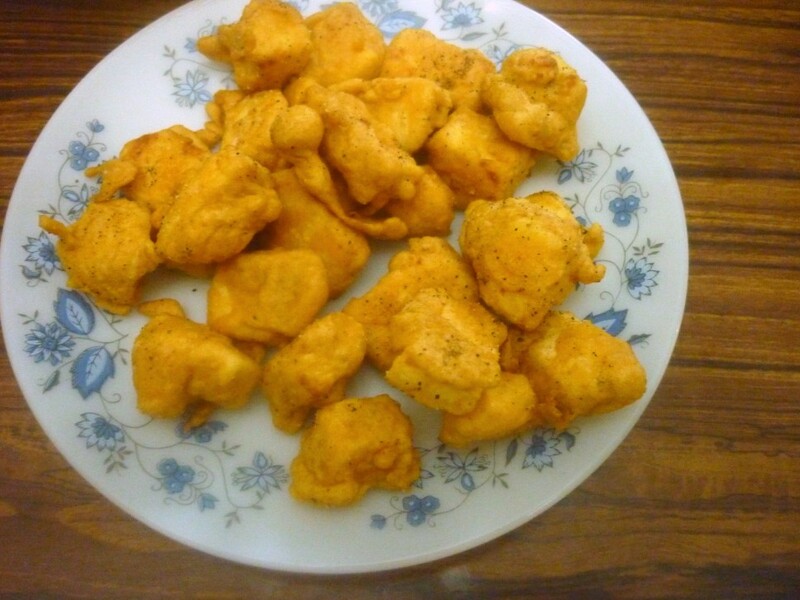 Recently I had couple of occasions when I ended up making Paneer Pakodas. Both the occasions, before I could even say a word, everything disappeared. Literally, I mean it. Can you imagine some dishes are so much of a favorite with the crowd that it’s just not possible to do much but see them disappear? Well these Paneer Pakoras are surely a crowd pleaser and a delight to kids and elders as well. Anyway coming to the second time I made these, it was another Paneer Pakoras in a gravy that I tried. So just to entice the kids and also as it was raining, I thought I might offer them as such, without dropping them in the gravy. That was surely a mistake. Chinnu who normally never extends for such snacks, was also so taken in by these pakodas. I finally had to convince them saying that I have enough for the gravy for their dinner. Sending this to Pradnya who is hosting my Kid’s Delight, themed on Warm foods to beat the rain! Make Paneer and keep it aside to set. I normally make with homemade Paneer. Cut into small cubes and keep it aside. In a bowl, take the flours, salt, red chili powder and ginger garlic paste if you are using it. Slowly add water mix to a thick batter. Meanwhile heat the oil. Once the oil is hot, dip the paneer into the batter and drop in the oil for deep frying. Cook on all sides and drain on to a kitchen towel. Just before serving, season on the top with either pepper powder or chat masala along with a tiny pinch of salt. Since I was serving elders I tried these seasoning. For kids you can serve as such. Pakoras with paneer?? mmmmmm… I am drooling here..
A pleasent evening, a cup of masala chai and a plate of paneer pakoda.. What a perfect setting.. Wish I could just grab the plate from the screen.. Lovely!